Disillusioned with her current post, Miss Brodie is offered a position at the Marcia Blaine School for Girls, so returns to her beloved Edinburgh to inspire and educate ‘her girls’ with her unorthodox teaching methods. Those with potential are taken under her wing as she aims to produce the Crème de la Crème. The visionary teacher soon finds herself at odds with some members of staff, and some parents, due to her outspoken attitudes towards her charges, the curriculum she swiftly casts aside and her beloved Mussolini. Almost a decade after Maggie Smith won the Academy Award for her performance in the big screen adaptation of The Prime of Miss Jean Brodie, STV undertook a TV dramatisation of Dame Muriel Spark’s much loved novel. According to Muriel Spark, Geraldine McEwan was the closest to her ideal of Jean Brodie ‘Geraldine McEwan really got the essence of it, probably because she had more time and space in it. She has more scope to express herself’. With Geraldine McEwan in the lead role, this highly acclaimed seven-part series is a superb drama that explores at length the rich and varied characters that populate Spark’s work; it is a strikingly different yet complementary partner to its film counterpart. 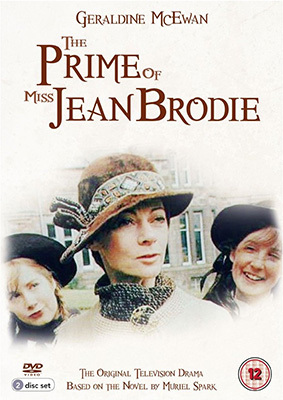 To celebrate its 35th Anniversary, The Prime of Miss Jean Brodie will be released in the UK as a double-disc DVD set on 7th January 2013 by Acorn Media at the RRP of £19.99.